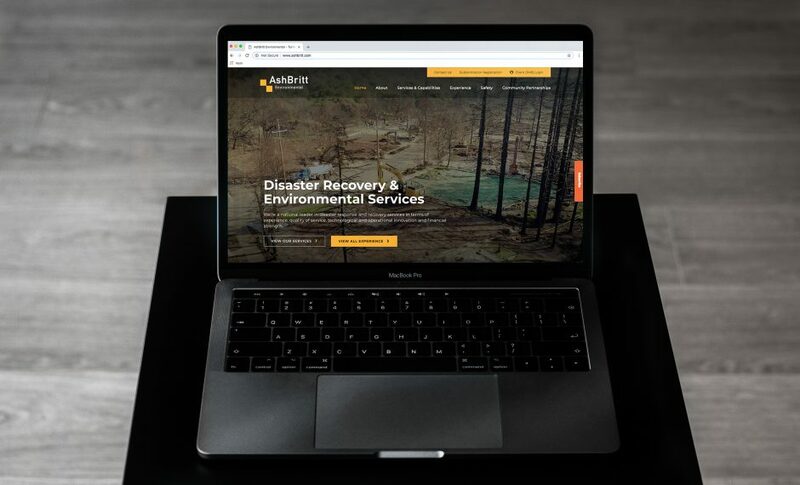 HMG Creative is proud to have partnered with AshBritt Environmental for branding, collateral design, and web development, supporting its work in disaster recovery. 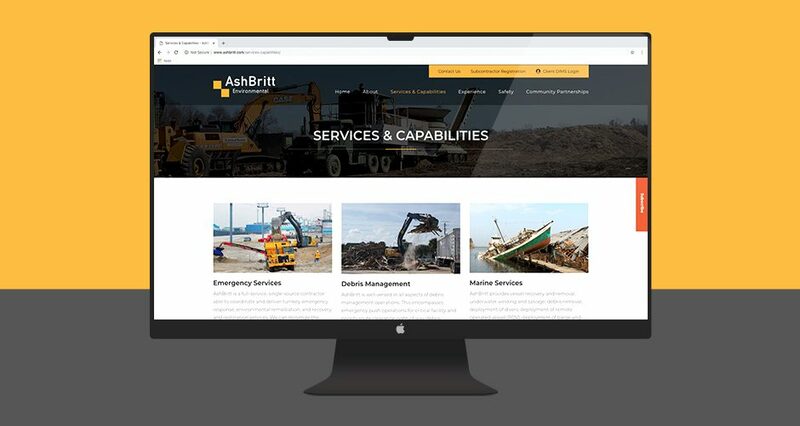 Ashbritt sought out HMG Creative to revamp its website as an indispensable resource for information on its rapid-response disaster recovery capabilities and special environmental services. 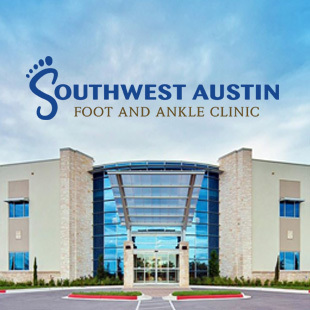 Ashbritt saw the need for an enhanced brand image and an updated, aesthetically pleasing web presence that provides straightforward information, outlines the scope of services offered and showcases its excellence. To begin the project, HMG Creative developed a new logo and branding guidelines to serve as the foundation for the look and feel of the new website. 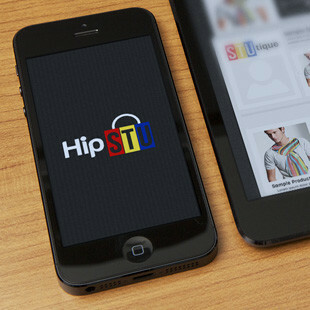 We then worked with Ashbritt to plan, architect, design, develop and support the new website. 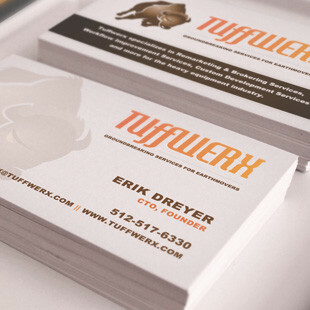 During the visual design phase, we focused on the overall user experience and mapped out the content hierarchy to for a more fluid experience. 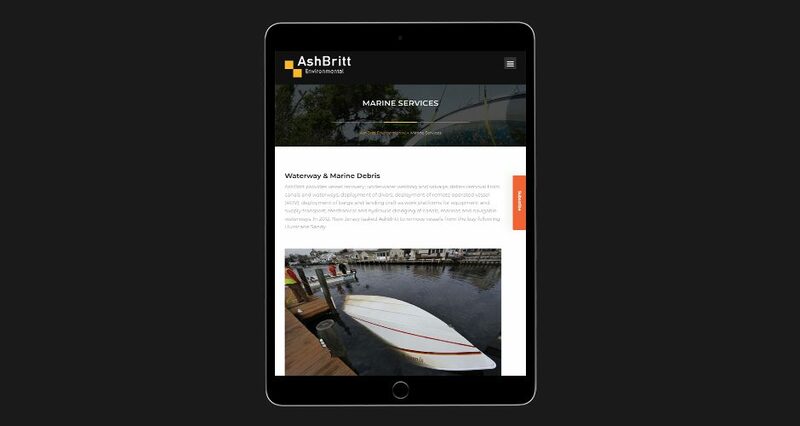 With a sophisticated new site and refreshed branding, Ashbritt now has a website that caters to their core clientele and positions the organization for continued growth. 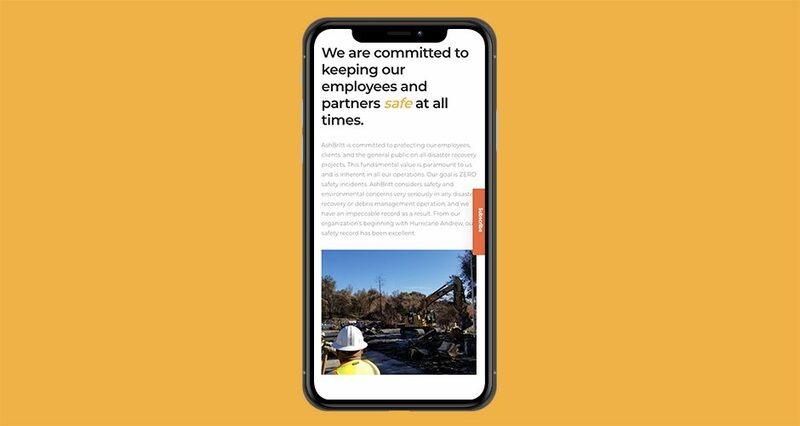 As industry leaders, Ashbritt’s new digital presence sets an example for how other contractors in the environmental space should present themselves – with frictionless utility, clarity, and expertise. 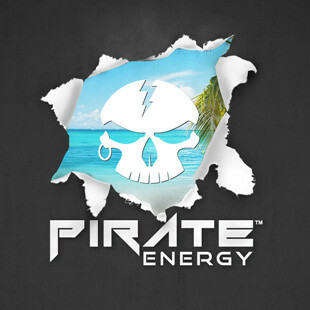 HMG Creative is honored to continue partnering AshBritt, actively supporting all ongoing creative service needs. 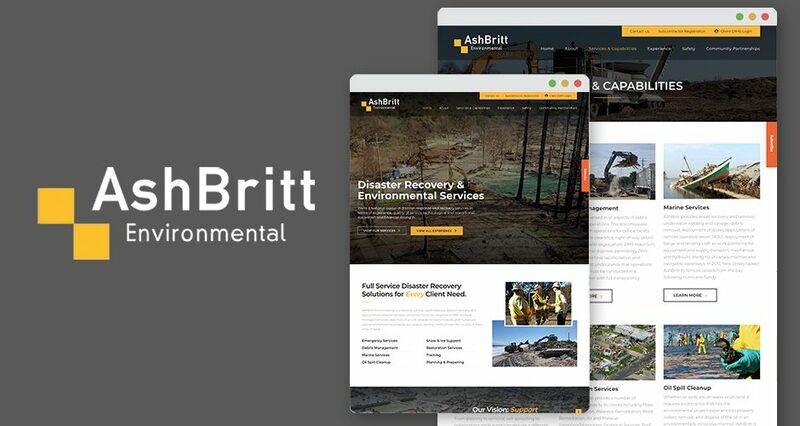 AshBritt Environmental is a national turnkey rapid-response disaster recovery and special environmental services contractor that takes special pride in being the leader in the storm recovery business and in the service it provides to all its clients. 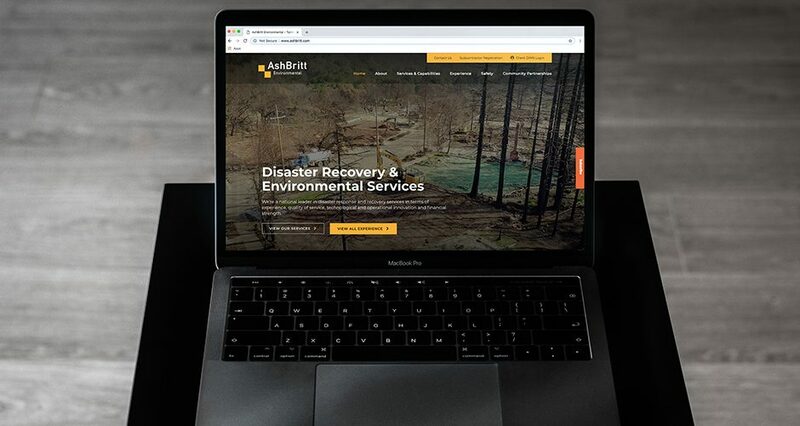 Since its inception in 1992, AshBritt has managed and executed more than 230 disaster recovery missions and numerous special environmental projects, successfully serving clients all over the country in their time of need.